are beside the court house. 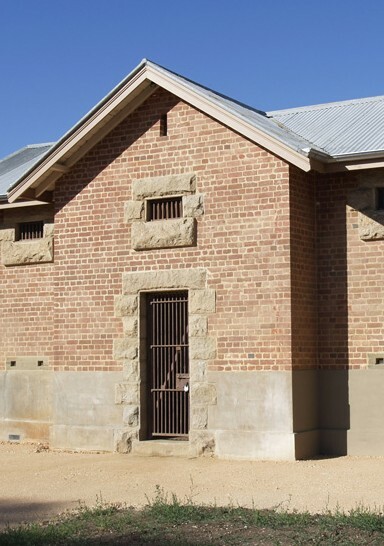 The stables and lock up were constructed in 1863 to complete the legal precinct. 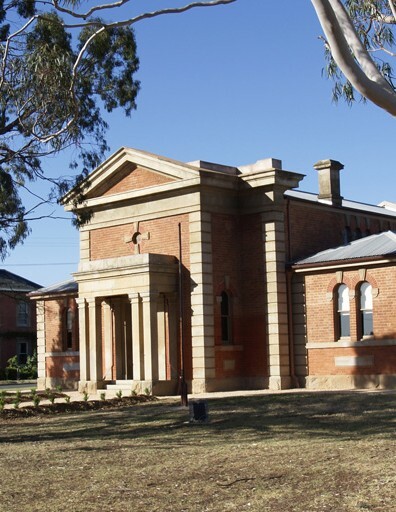 The three-cell lockup was used until the court house closed in 1981. The stables were converted to a garage sometime before World War Two. All were restored back to their original states in 2014.